The Corps of Engineers has a law enforcement section. While cleaning some right of way for a new project, they had to remove a small grove of trees and, unfortunately, they discovered a cemetery that was not marked on any maps or records. A controversy developed. 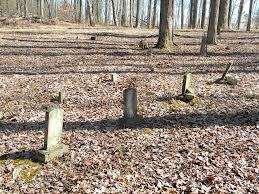 Some argued that the remains should be taken to the nearest town for burial in a public cemetery. Others insisted that, the graves being so old that they were neither mapped nor recorded, the decedents must have lived and died in a religious time and, therefore, should be buried in a church yard. Writers’ Exercise: Use the third person possessive to write a description of this dilemma. Where should be the Corps’ cops’ copse’s corpses’ final resting place? Sorry about that. But, with any luck, it will stick in your head and you will find yourself muttering it in your sleep and while sitting in the audience listening to dull speeches. PS: This blog was first published in Dispatches, the Military Writers of Society of America digital news magazine, under the Writing Forums. You should visit. ← A Novel Approach: And our winners are…..